5pm Friday 5th June - mid afternoon Monday 8th June 2015. 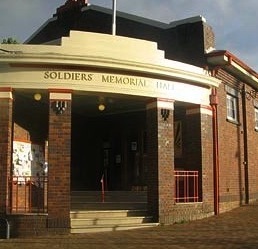 Bundanoon Soldier's Memorial Hall. 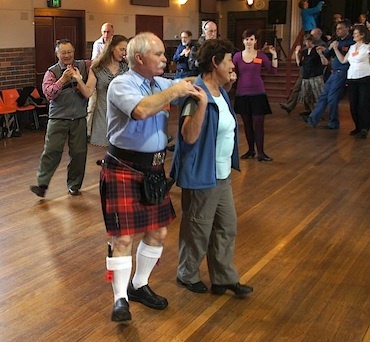 The Seventh Dundanoon DanceFest is on at Bundanoon in the Southern Highlands of NSW on the Long Weekend in June 2015. 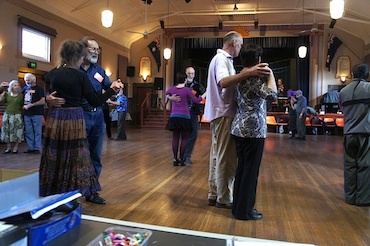 A full weekend of social dancing, with workshops run through the day and an evening dance. Helen & Tony Romeo (from South Coast), Caroline Barrell (from Blue Mountains), Nesa David Simon (from Canberra), Jude Bertolin (from Bathurst), and Mark Simmons (from Canberra). Anthony Simon, Daryl Powell, Tony Northey, Fran Robertson, Don Richmond, Arthur Kingsland, Norm Ellis, Paul Carr, Colin Towns, Margaret & Bill Winnett, Bruce Lemin, Madis and Tiina Alvre, Cathy Richmond, and Keith Wood. Friday night is the Opening dance in the Main Hall from 7.30 - 11.00. 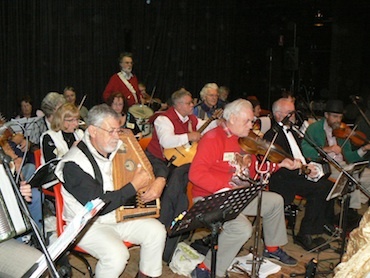 A great time to catch up with fellow dancers and musicians from all over, with mixed programme of dances provided by the early bird callers and with music by the assembled musicians. Notice that the Sunday night dance is split into two venues up until Supper. This eases the Hall crowding. 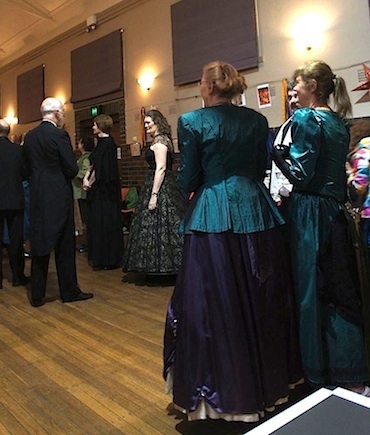 Dance styles for the Hall will be chosen for suitability for the Bush Ball. Weekend tickets and general socialising in the Hall from about 5pm Friday. First workshop each day starts at 9.30am, first after lunch at 2.00pm. Evening events start at 7.30pm. 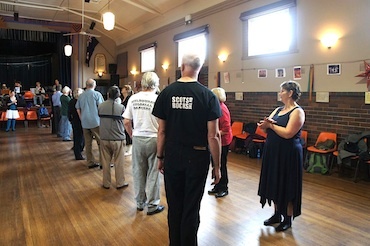 All the music at Bundanoon DanceFest is LIVE, which makes it a wonderful experience for both dancers and musicians. 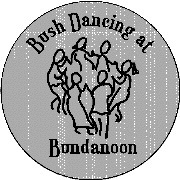 For musicians attendance at the Bundanoon DanceFest is a modest $30 to cover insurance and supper costs. You, and the callers of course, make the weekend happen for the enjoyment of the dancing community. You are welcome to join in dance workshops and dances when your musical talents are not required or alternatively retire to the warmth of the Hotel fireside and enjoy a musical session. Each workshop has a lead musician who is organising the music for the caller. The music will be available for most workshops as a PDF soon. 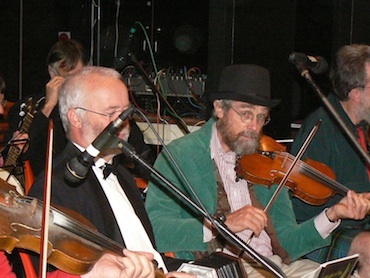 At the evening dance there will be a flow of musicians required with the particular caller's musicians taking front centre stage for that segment. Movement on and off needs to be streamlined so your cooperation is sought here.